Zoolz Vs Carbonite Vs Mozy – Which business cloud backup service is right for you? Anyone who uses a computer, which is pretty much everyone these days, needs to have a dependable form of data backup and restoration. And although local backups provide you with faster restoration time and a sense of security, they are vulnerable to a number of other hazards, including loss, theft, or damage. Also, the manual practice of backing up data has always been a long and tedious process, until the emergence of cloud backup services changed all of that. 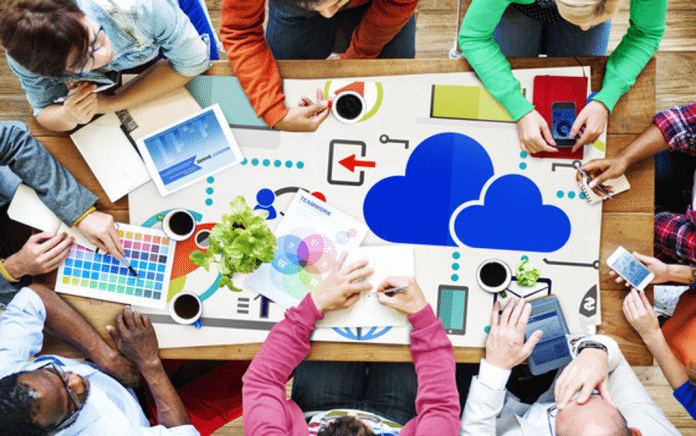 There are dozens of companies that provide a host of comprehensive cloud storage services, but essential that you choose a cloud service that you can bank on. From the house of Genie9, Zoolz is a cloud backup service that exploits Amazon Cold Storage in order to keep subscriptions costs low. Previously launched as a personal cloud service, Zoolz has recently rebranded itself to focus almost entirely on business users. 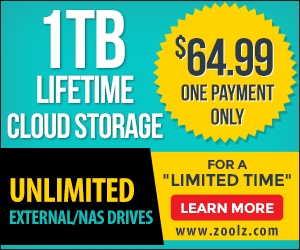 Zoolz offers Tirbrid backup storage which allow you to use instant backup, local and a unique “Cold Storage” service that allows you to store archived files for as low as $3/month for 100 GB. The only catch is that files stored in cold storage take more time to restore, but that shouldn’t be a problem when you don’t have restore theses files too often. 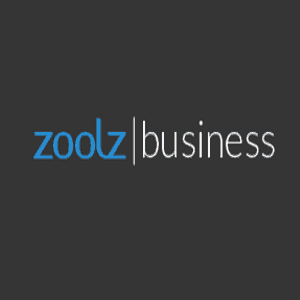 Their free 14-day trial period allows you to figure out if Zoolz is the right fit for your business backup needs. The provider also doesn’t ask for a lot of information during sign-up, which means your data is as anonymous as possible. Zoolz has already helped countless businesses and professionals to backup and shift their sensitive business data to the cloud, along with total control via an intuitive user management system that allows you to manage, organize and execute thousands of computers and servers within a matter of minutes. Designed with big data in mind, Zoolz removes the need for capital investment in expensive storage systems, providing extra durability, at a higher level of security and affordability. Overall, Zoolz is the perfect online cloud storage package, and trumps over its competition in terms of ease of use and value for money. A good cloud backup service should include the latest version of your files, as well as all previous versions and any deleted file. So another reason to choose Zoolz is its file versioning feature, which backs up your data on an incremental basis, making sure that you have backups of latest as well as older versions of your files. And at this price point, it would be very difficult to find similar features elsewhere. Like Zoolz, Mozy is an easy-to-use cloud backup and recovery service that that safeguards all your computers and servers by automatically backing up your business data. Mozy is a completely scalable and highly-reliable cloud storage service that offers competitive business editions for both Mac and Windows operating systems. The service allows you to monitor and manage multiuser environments, as well as schedule automatic backups via a web interface. Mozy’s highlight is “Stash,” its patented file synchronization feature that allows you to drop files in to a localized stash folder, which then pushes it on to an online backup. Another noteworthy feature is Mozy’s Data Shuttle option, which allows you to perform initial backup operations on a drive that Mozy assigns to you. Overall, you can get much more features for free, from companies like Google, Amazon, and so on. Overall, Mozy is a decent automated cloud backup service that is best suited for small-medium enterprises as it might feel inadequate for larger organizations. Cross-platform functionality is also a major deciding factor while choosing a cloud service provider. Apart from providing support for Mac, Windows, and even Linux, a number of services like Mozy provide mobile apps help you back up data on Android and iOS devices. Mozy’s USP is its pay-as-you-go subscription model and broad range of management features. Founded by entrepreneur David Friend, Carbonite has been a pioneer in cloud storage services since 2005. Carbonite is one of those feature packed services that are hidden by a modest interface, and is the storage service of choice for those who want simplistic features. The provider also has a mobile cloud storage app that gives you the ability to remotely backup their mobile devices, and even allows them to sync them together. One of the major setbacks of Carbonite is their lack of file sharing features, as well as an absence of any free cloud storage whatsoever. 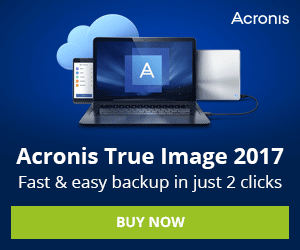 The best that it offers you is a free 15-day trial that you can use without any credit card information, but it’s almost useless to anyone who has a sizeable amount of data to backup. However, Carbonite does compensate by offering a robust pricing scheme that allows users to decide which features they want in their service place, gives it a competitive edge over the others. The company also features “add-ons” that can be used to add even more space to your existing account. Carbonite has been offering one of the most comprehensive range of cloud services for over a decade now, and is a solid service that runs on a tried and tested platform. But don’t be fooled by its minimalist design; most cloud services provide data encryption even before your files leave your computer, but they perform this is a way that the service provider’s employees could gain access to them. This is where Carbonite truly shines, thanks to its personal encryption keys that act as form of double encryption for your data. The platforms sheer simplicity has made it a reputed industry player. All the services mentioned earlier provide consistent automated data backup, eliminating the need to put in any physical effort once they are set up. Deciding which service to buy will ultimately depend on your specific requirements. While some people simply want the cheapest possible option, others might be looking for enhanced capacity limits or superior customer service. But for those who want everything, Zoolz offers the most seamless transition from physical storage to the cloud, while also offering easy backup and fully customizable features. And not to say that the other options aren’t competent, but Zoolz tamper-proof security features pretty much makes it a no-brainer. Mauricio is the CEO of Cloudwards.net, a data and user feedback driven comparison engine for cloud apps and services. He enjoys writing and producing educational videos around the cloud to help people find the best cloud service for their needs.